The Egyptians, one of the oldest and richest cultures in the world, was one of the first to recognize the importance of honoring the natural world around them. The national flower of the Egyptians is mentioned in ancient tales, is depicted in historic treasures and is still beautiful along the rivers of Egypt today. The Egyptian lotus flower is also known as a water lily, but the Egyptian name, lotus, rings especially true for this country and its rich heritage. 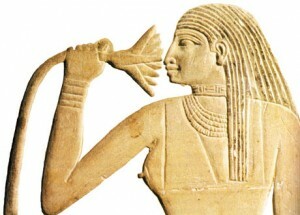 In ancient Egypt, the first two plants to be honored within the culture were the lotus and papyrus. The lotus represented the northern parts of Egypt and the papyrus, the southern. Then, the papyrus was used to create the world’s first paper, but the honor of the pure white Egyptian lotus lives on as the national flower of Egypt. The Egyptian lotus is the only plant known to flower and produce fruit simultaneously. The national flower of Egypt is a water flower that blooms in the Nile and rivers and ponds all over the world under another name – the water lily. The lotus has a tall, striking flower blossom rising from the marshes along the river. The flower has adapted to a fully wet state and will not grow outside of standing water. The unique properties of the Egyptian locus make it an especially interesting addition to a waterscape in the backyard or to floral arrangements. The state flower of Egypt is a strikingly beautiful flower made even more interesting thanks to its relative obscurity. 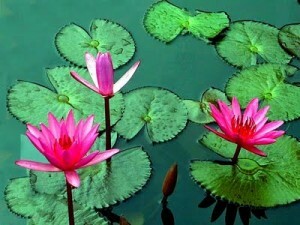 When considering the natural environment of the Egyptian lotus, it makes sense that the lotus enjoys warm to hot conditions while remaining in water outside of its homeland. For many this requires a nearby pond or stream in a warm area. The Egyptian locus can grow in cooler regions, but if the water is too cool it will remain dormant for a time. The Egyptian locus is a perennial that produces green foliage around the base of the plant with the flower topping long stalks, or petioles. This entry was posted on Wednesday, October 7th, 2009 at 4:29 pm	and is filed under National Flowers. You can follow any responses to this entry through the RSS 2.0 feed. I really love the pics,and please email this to me.